When you come to the Brighton Implant Clinic for the first time you will need to complete some registration forms and medical history forms. You can complete these forms online securely by clicking here or if you prefer you can complete them at the clinic when you arrive for the appointment. 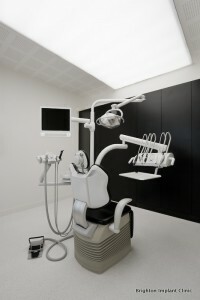 If you are attending for a FREE implant assessment the dentist will take FREE panoramic radio-graph (if necessary). The dentist will listen to your main concern of why dental implants may be needed. Photographs and models are taken of your mouth in order to obtain as much information as possible prior to making a treatment plan. Sometimes you may be given more than one treatment plan. The dentist may explain the advantages and disadvantages of each plan to you and it will be your decision which is best for you. Above all , the first appointment should give you all the information you need in order to make an informed decision if dental implant treatment is right for you. At the end of the first appointment you will be given a comprehensive treatment plan. The treatment plan will explain clearly what treatment is required, how many appointments you will need and how much the treatment will cost. 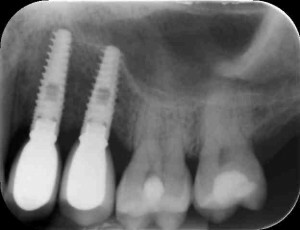 Together with the treatment plan you will be given an Implant Folder Pack. Inside this folder one will find important documents relating to consent for surgery, implant treatment guarantee and our business terms and conditions. You will also find post-treatment instructions, Do’s and Dont’s after implant treatment. If you are having dental implant surgery….. If you need to ask the dentist any information about the consent forms before the surgery please feel free to do so. Please be aware the sometimes your appointment may be delayed due to the surgeon running late. Even though we do our best to keep to time, sometimes this may not be possible. Implant surgery can sometimes take longer than expected. Sometimes patients take longer to recover from sedation and this may result in your implant surgeon and the operating theater run late. Our reception will do their best to keep you informed of any delays when you arrive for your appointment. During or before the implant surgery your dentist will decide if your implant will be carried out using a one stage or two stage surgical procedure. One stage procedure means that you will have an implant placed and onto the implant a healing abutment or provisional crown will be attached. see our article on one stage vs two stage surgery here Basically it means that in one stage surgery the implant will be accessible to the mouth without needing to open the gum tissue again. A healing abutment or provisional crown will be easily removed from the implant using a special tool at the dentist. Usually you will not need any anesthetic to remove a healing abutment or provisional crown. If however you have had an implant placed with a two stage procedure then you will need to have another appointment to add the healing abutment or provisional crown. 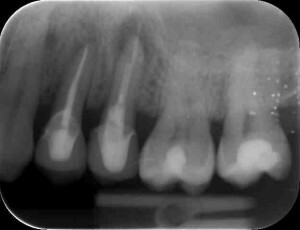 This means that the implant was left buried under the gum for a good reason. Once the healing phase is completed and your dentist is certain that the implant has integrated then its time for a healing abutment to be attached. 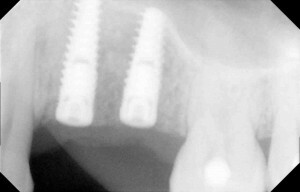 This process is also called second stage surgery or uncovering of dental implants. During this procedure your dentist will need to administer some local anesthetic, a small incision is made directly above the implant and the healing abutment is attached to the implant. The procedure usually only takes a few minutes and is generally painless. Once the healing abutment has been attached it will be visible in the mouth and accessible to the dentist in future. The gum tissue will form a neat tissue collar around the healing abutment which will create the new tissue around the future crown or bridge. If you are replacing multiple teeth with dental implants, it is paramount that the final crown and bridge work on the implants is 100 % perfect. After the impressions are taken and sent to the dental implant laboratory, the technician and the dentist will usually recommend that a metal/zirconia framework try-in is carried out in order to ensure that the final teeth are as perfect as can be. This will add an additional appointment to the treatment however it is a crucial stage during the making of the dental implant crowns and bridges. During this appointment the dentist will remove the provisional crown/bridge or healing abutment from the implants, insert the future metal/zirconia framework and essentially check to see if the fit and position of the work so far is exactly correct and accurate. While this work is in place on the implants, the dentist will usually take an additional registration to record the position of the upper and lower jaws relative to one another. 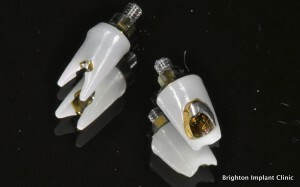 The metal/zirconia work is then removed and sent back to the dental laboratory for finishing off with final porcelain. To see a metal work framework click here.